What are Debt Arrangement Schemes? The Debt Arrangement Scheme or DAS is a popular method of dealing with unmanageable personal debts open to residents of Scotland. Included in the Debt Arrangement Scheme is the provision of financial and specific debt advice as well as an additional period of time to repay your debts. The DAS differs from a debt management plan as it provides debtors and their homes with additional legal protection against unsecured creditors. This will ensure that unsecured creditors are unable to commence legal recovery action against you. The Debt Arrangement Scheme also freezes the interest on debts so it can not increase further. What were the reasons behind the Debt Arrangement Scheme’s introduction? The Debt Arrangement Scheme was introduced as a method of dealing with mounting levels of personal debt throughout Scotland. The DAS was added to the insolvency measures already in existence to provide extra protection for those individuals unable to cope with rising levels of debt. The DAS was introduced to fill the gap that remained after the ‘Time To Pay Directions’ and ‘Time To Pay Orders’ which were created by the Debtors (Scotland) Act of 1987. The value of these measures was limited for people with multiple debts as they had to be obtained from the courts. The introduction of the DAS enabled both individuals and couples to find the time they needed to repay their debts without having to apply to the courts. Does a Debt Arrangement Scheme suit your circumstances? For those of you seriously considering commencing a Scottish trust deed but who realistically will not be able to release the equity in your home, a Debt Arrangement Scheme should be a serious consideration. Unlike a protected trust deed, it is not a requirement of a DAS for you to include in your repayments the value of a home or vehicle. The Debt Arrangement Scheme should also be considered seriously by anyone whose debts would become manageable if only the rising cost of interest could be frozen. Once a DAS is underway, if the individual or couple involved meet their repayments then no further interest or charges will be added. The general view is that if people can repay their debts, they would prefer to do so. The DAS allows people to do exactly that but over a time period which makes such a proposition realistic. Firstly you must be a Scottish resident. You must also have personal debts which are unaffordable at contractual rates but there is some spare income which can be used to repay the debts over an extended period of time. 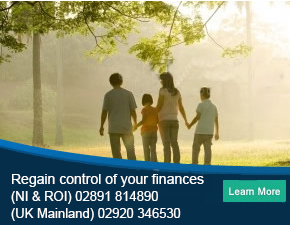 A Debt Arrangement Scheme will not be available to you if you are currently bankrupt, have already commenced a Scottish trust deed which is ongoing and are subject to a Bankruptcy Restriction Order or in certain circumstances where you are repaying your debts under a conjoined arrestment order. The application process needs to go through a Debt Arrangement Scheme Approved Money Advisor or an Insolvency Practitioner. The DAS Scotland website is an excellent resource which will identify your closest approved advisor. It is important to check the charges before signing up to a DAS advisor. Those working for local authorities are unlikely to charge a fee whereas those DAS advisors working commercially may well do so. Make sure you understand the financial relationship you are agreeing to before anything is signed. Your DAS Scheme Money Advisor will conduct a thorough examination of your circumstances based on financial documentation. They will then apply for the Debt Arrangement Scheme on your behalf once they have been permitted, by you, to do so. The DAS proposal will then be sent out to all of the creditors included in the scheme. The creditors will then decide whether they agree or disagree with the terms of the proposal. According to the circumstances involved, you may be advised to ‘intimate’ to the DAS Scheme Administrator about your intentions to commence the scheme. This measure will provide you with additional protection from creditors for a period of up to six weeks while the DAS is being created. This move could be vitally important if you are currently embroiled in legal action or creditors are threatening to commence a case in the near future. If some creditors do object to the DAS proposal then the DAS Scheme Administrator will have ultimate decision making responsibility, with the power to overrule creditor objections which it deems to be ‘unreasonable’. If creditors agree to the proposal or do not reject the proposal, then the DAS Scheme will be approved. For any further information regarding the Debt Arrangement Scheme, please do not hesitate to contact our experienced team directly.